There are some people, like me, that live their years from June to June, spending 364 days counting down to the next 24 Hours of Le Mans. This event is more than a race, the 24-hour endurance is practically religious experience. People travel the world over to witness Le Mans in person. It is said that there will be more Danish people in La Sarthe, France over this weekend, than there are Danish people remaining in Denmark. Every year, I prepare myself for a 24-hour television, internet, and social media marathon, tracking and following my favorite drivers and cars. This year will be no different! Porsche, for the first time since the 1998 GT1 program, will have a factory motorsport presence at this event in the LMGTE Pro category. The new 991 chassis 911 RSR will be competing for the first time at Le Mans, having completed a pair of 6-hour shakedown events at Silverstone in April and Spa-Francorchamps in May as the opening two rounds of the World Endurance Championship. The new car, dubbed the 911 RSR, was homologated on the 991 Carrera 4S chassis platform, as the new GT3 had not yet been launched, and this was the widest bodywork available. The car features updated RSR aerodynamics, and uses the same 4.0 liter base engine that the outgoing 997 RSR made use of. Support for the factory team will come from longtime Porsche privateer team Manthey Racing, and two cars will be run. The 91 car will be driven by Porsche stalwarts Jorg Bergmeister, Timo Bernhard, and Patrick Pilet. Each has plenty of merit to be driving this car, and could prove to be the factory’s best chance of podium. The 92 is piloted by Richard Lietz, Marc Lieb, and Romain Dumas. Bernhard and Dumas have spent the last few years piloting the super-fast Audi R-series Diesel prototypes, and with luck, sticking them in a slower car won’t affect their abilities. Bergmeister, Pilet, Lieb, and Lietz have all been in Porsche tin-tops in the recent past, and the 911 RSR should offer them no challenges that they are not intimately familiar with. The LMGTE Amateur class requires the use of a team of one professional driver combined with two non-professionals, and the cars must be built to the specification of at least 1 year old. As such, no teams are allowed to compete with the new 991 chassis in this class, and must make best use of the outgoing 997 chassis. There are 5 Porsche cars prepared for this category, with two coming from IMSA Performance Matmut, a single car from Prospeed Competition, a car from Proton Competition, and a fifth Porsche prepared by Proton for Dempsey-DelPiero Racing. This team is not named after the International Motor Sports Association, as is often thought to be the case, rather the team is closely linked with a large Porsche dealership based in North-West France. 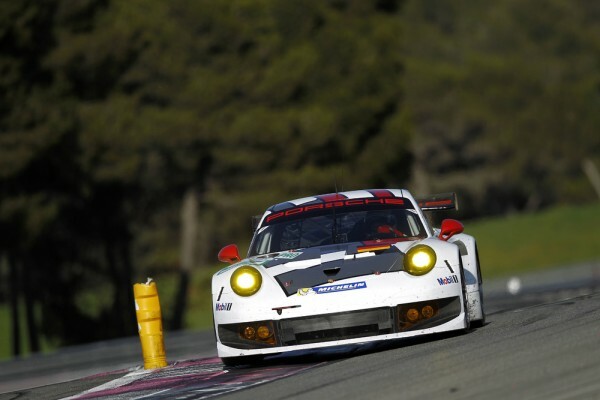 The team has been running Porsche racecars since 2004, and has always been relatively competitive. The 67 car is the definite leader of this team with Porsche Factory hot shoe Wolf Henzler as the pro among the French “amateurs”, Pascal Gibon and Patrice Milesi. The sister car, #76 is driven by Christophe Bouret and team owner Raymond Narac, with Jean Karl-Vernay as the dark horse. Vernay has lots of open wheel experience, and managed to win the Carrera Cup France in 2012, so he may be one to watch for. Proton regulars, Christian Reid and Gianluca Roda, will be assisted by Paulo Ruberti in the #88 car at Le Mans this year. Though the team is still running “Felbermayr Holdings” livery, the name has been dropped from the team title. For 2013, though, the second Proton car has been farmed out to the American team of Dempsey-DelPiero racing, headed by actor Patrick Dempsey. Dempsey’s efforts in sports car racing as of late, have paid off, and he is making quite a name for himself as a driver/team owner. Partnered with perhaps the best GT driver the Porsche factory team has to offer in the form of Patrick Long, as well as Dempsey himself, and co-driver Joe Foster. With Dempsey’s recent improvements, Foster’s ability to deliver consistent laps, and Long’s stellar talent, and a little bit of luck, I think this trio might have a chance at the podium. The Belgian team, Prospeed, was only recently announced as an addition to the Le Mans entry list. Until the first of June, Prospeed was listed as one of the alternate entries, and they were forced to wait for another team to drop off the entry list to be confirmed. With the “garage 56” entry of Green GT Technologies electing to remove their hydrogen fuel cell car from the running, Prospeed got the spot. A one-time Formula 1 test driver, Emmanuel Collard, now in his 40s, has competed at Le Mans every year since 1995, netting two class victories, and an additional three podium places. As the lead driver, Collard will be sharing the car with Francois Perodo and Sebastian Crubile. As a late entry to the list, I wouldn’t predict Prospeed to fare extraordinarily well, but if they can pull themselves together in rapid fashion, they could pull off something wonderful. In GTE Pro, the competition comes in the form of 2 factory backed Corvettes, 2 factory backed Vipers, 3 factory backed Aston Martins, and 3 psuedo-privateer Ferraris (1 from JMW motorsport and a pair entered by AF Corsa). The Astons have proven to be quick this season, and are the favorites to take the checkered flag. The Corvettes should never be counted out of factoring into the results. The Viper, in its first showing at Le Mans, does not promise to deliver much, but they do, in fact, have about 1 season of ALMS racing under their belts. For only their 3rd endurance event with the new chassis, I don’t believe Porsche will factor well in the standings, but if there is any car out there that can win fresh out of the box, it would be the 911. GTE Am is another story altogether. There are a pair of semi-factory supported Aston Martins that look to do well, but my money would be on the orange 8Star Motorsports Ferrari with Enzo Pottolichio, Rui Aguas, and Aussie V8 star Jason Bright. In the GTE Am category, Larbre Competition Corvettes also have historically done well, and for 2013 it doesn’t look like there would be any reason to expect otherwise. Entry List: Find it here. Timing and Scoring: Find it here. Andy Blackmore's annual spotter's guide: Find it here.